A McElroy & McElroy Production, Eden Productions. 1983. Producer: Tim Sanders. Music: Brian May. LP (ST)	Varese Sarabande (USA). STV 81260. 1985. 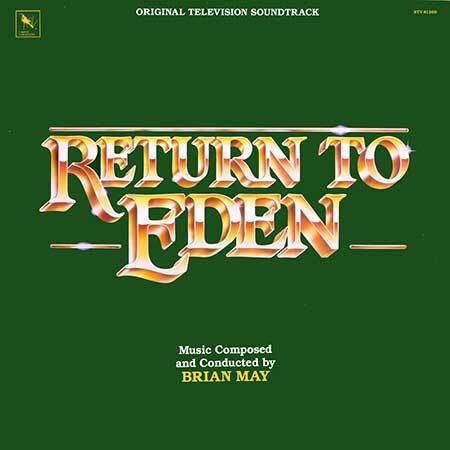 Music Composed and Conducted by Brian May. Album Coordinator: Karyn M. Ulman. Album Sequenced by Tom Null. Mastering Engineer: Michele Stone. Matrix: Ric Hancock & Jim Limbean. All Music Published by © 1984 & 1985 Atchinson Music Pty. All Rights Administered by TECO Music (BMI). © James Hardie & Coy Pty. Ltd & United Telecasters Sydney Ltd. Problems For Dan & Steff. A Man Not A Boy.